In the investment world, “I run a hedge fund” has the same meaning as “I’m a consultant” in the rest of the business world. In general, a hedge fund is a private partnership that operates with little to no regulation from the U.S. Securities and Exchange Commission (SEC). A hedge fund uses a range of investment techniques and invests in a wide array of assets to generate a higher return for a given level of risk than what’s expected of normal investments. In many cases, hedge funds are managed to generate a consistent level of return, regardless of what the market does. 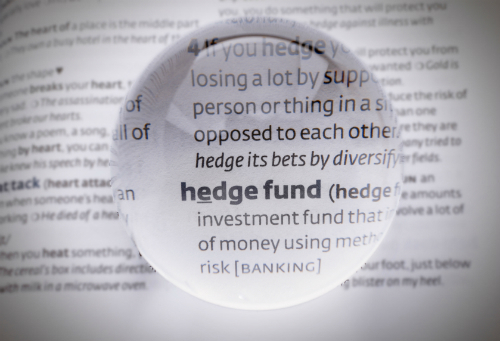 To understand what a hedge fund is, it helps to know what hedging is. Hedging means reducing risk, which is what many hedge funds are designed to do. Although risk is usually a function of return (the higher the risk, the higher the return), a hedge fund manager has ways to reduce risk without cutting into investment income. A hedge fund manager can look for ways to get rid of some risks while taking on others with an expected good return. For example, a fund manager can take stock market risk out of the fund’s portfolio by selling stock index futures. Or (s)he can increase her return from a relatively low-risk investment by borrowing money, known as leveraging. Keep in mind, however, that risk remains, no matter the hedge fund strategy. The challenge for the hedge fund manager is to eliminate some risk while gaining return on investments — not a simple task, which is why hedge fund managers get paid handsomely if they succeed.